Older Australians are being reminded of the importance of exercise, with a newly launched Government initiative aiming to increase support and opportunities to help seniors “move more”. The new $22.9 million Move It Aus - Better Ageing grants program, launched by Federal Sports Minister Bridget McKenzie, aims to work with and encourage sport and physical activity providers to focus on empowering older Australians to become more active. Sport Australia will manage the program, with Chief Executive Officer Kate Palmer sharing her praise for the initiative which is aimed at Australians aged 65 and over, a demographic she says is projected to more than double in the next 40 years. 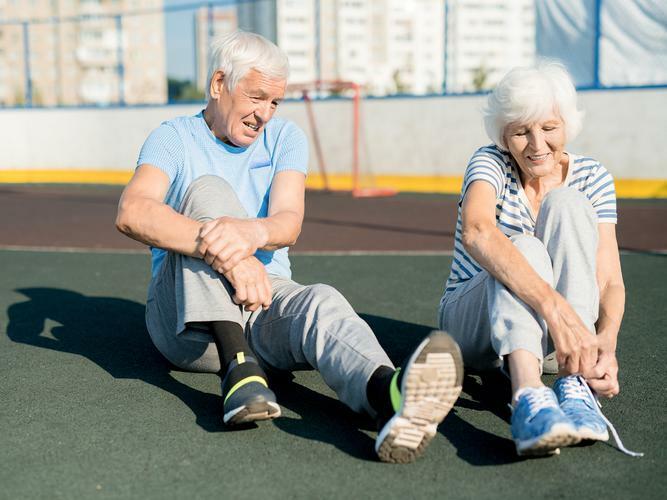 She says it will be an important step to encourage sport and physical activity providers to be adaptable and offer more options and products for older Australians, as well as reduce the impact of chronic disease and increase overall physical and mental health. “Australia’s demographics are shifting and while that presents a challenge in broader health terms, there’s a great chance for us as a sport industry to make a positive difference to the lives of older Australians through physical activity,” Ms Palmer says. “Sport Australia recently launched our overarching national Move It Aus campaign, which encourages Australians of all aged, backgrounds and abilities to try and find 30 minutes of physical activity per day. Ms Palmer says Sport Australia looks forward to partnering with sports and physical activity providers to get older Australians moving more often, noting that research suggests that sport needs to be adaptable with many motivated older Australians changing their choice of activity with age. The Sport Australia AusPlay research shows that although overall physical activity levels drop as we age, the main motivations to be active remain the same - namely for physical health and fitness. Ms Palmer says this research shows the most popular activities for those aged over 65 are walking, fitness/gym, swimming, golf, cycling and bowls, noting that more than 50 percent of the demographic who do not participate in sport and physical activity report poor health and injury as their biggest barrier. “It's undeniable that sport and physical activity are beneficial to physical and mental health so as a sport industry we need to challenge ourselves to come up with innovative ways to help older Australians benefit from an active lifestyle,” Ms Palmer explains. Australian tennis legend and former Davis Cup captain John Fitzgerald has shared his support of the grants by helping at the launch and has offered his own encouragement to older Australians about getting moving. “Sport is integral to health and wellbeing for people of all ages,” he says. “The Move It Aus - Better Ageing grants program is a fantastic initiative that will enable more opportunities for older Australians to get out and get active. “Tennis is a sport for life and can be played by people of all abilities; it’s great for keeping fit, healthy and socially connected. Applications for the Move It Aus - Better Ageing grants are now open until 31 October 2018. If successful, candidates will receive grants ranging up to $2 million over a two year period to implement new, local, community-based activities. More information and guidelines are available online.